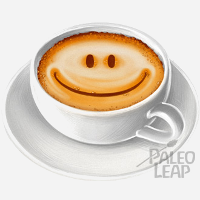 Caffeine is a Paleo gray area – it works just fine for some people, but it doesn’t work at all for others. But there are actually some reasons why you might want to quit, even if it doesn’t give you sleeping problems. A temporary caffeine vacation can also be part of a long-term weight maintenance plan, or just a helpful way to re-set your tolerance. Of course, that’s assuming that the withdrawal symptoms aren’t so unmanageably awful that they send you rushing straight back to the nearest Starbucks. Here’s a look at what research actually says about caffeine withdrawal, what causes the symptoms, and how to make the process a little easier. The short version: either because it’s not working for you, or because you’re quitting strategically to enhance the effects of caffeine later on. Caffeine does have some health benefits, but for some people, it just doesn’t play well with their particular body. If you’re a heavy caffeine user and you’ve wondered about it, it’s worth at least a try to see how it works out. Other people are fine with caffeine, but want to quit temporarily for strategic reasons, with an eventual plan to start using it again later. One interesting form of the strategic quit is to use caffeine as a weight maintenance tool. The idea goes like this: we know from multiple different studies that the body resists weight loss and adapts in ways that encourage regain. That’s why it’s so hard to maintain a weight loss (compared to maintaining a loss, losing the weight in the first place is easy). Caffeine is an appetite suppressant and a mild metabolic stimulant. So if you stay caffeine-free until you hit your target weight and then add in caffeine, you’ll balance out some of those regain adaptations with a little extra boost. Regular caffeine use causes chemical dependence: your brain and body get used to the drug and needs more and more to feel the same effects. Eventually, people who drink caffeine regularly need caffeine just to feel normal. Chemical dependence isn’t necessarily bad – plenty of people drink coffee every day without seeing any problems. It doesn’t imply the social or psychological problems of addiction, and it’s possible to be chemically dependent on caffeine without having any problems from it. This review looked at previous studies on caffeine withdrawal. The researchers found that caffeine withdrawal caused headaches, fatigue, low alertness, feelings of discontentedness and generally depressed mood, and brain fog. Roughly half the subjects got some kind of headaches, and 13% got slammed with “significant distress or functional impairment.” People got symptoms from as little as 100mg/day of caffeine. The good news was that the withdrawal was typically pretty short, especially the worst of it. Symptoms generally started between 12 and 24 hours after the person last consumed caffeine, and peaked between 20 and 51 hours after the last dose. They lasted between 2 days and 9 days. “Fatigue and headache:” exactly what it sounds like. “Dysphoric mood:” brain fog, problems concentration, anxiety, irritability, and discontentedness. “Flu-like somatic:” nausea, vomiting, flu-like symptoms, or muscle pain and stiffness. People with a higher caffeine consumption when they quit were more likely to get the first two patterns, but the somatic symptoms didn’t correspond to the level of caffeine intake. The flu-like symptoms were also the rarest, with only about 10% of people getting them regardless of caffeine intake. Not good. Replacing caffeine with sugar is unlikely to do your health any long-term favors. Here are some Paleo-friendly suggestions for what to do for the symptoms instead. Headaches: caffeine withdrawal can cause headaches because caffeine is a vasoconstrictor: it constricts the blood vessels in the brain. Caffeine has this effect because it blocks receptors for adenosine, which is a vasodilator (it widens the blood vessels). But human bodies are pretty stubborn about trying to maintain homeostasis, so blocking adenosine receptors provokes your brain into activating more of them (requiring more caffeine to block – this is how people get a tolerance to caffeine). Quitting caffeine suddenly means all those adenosine receptors are suddenly unblocked, and a lot of adenosine is released, which turns vasodilation up to 11. Tapering down on caffeine slowly is one way to manage that, but you can also treat the symptoms with exercise. Just like caffeine, exercise is a vasoconstrictor. The harder you’re breathing during your workout, the more vasoconstrictive it is. So a quick trip to the gym might work as a band-aid for a caffeine headache on top of all the other benefits. Fatigue and morning cobwebs: Caffeine spikes cortisol, which helps get rid of that “morning brain-cobweb” feeling. Constantly or chronically elevated cortisol can be unhealthy, but a morning cortisol spike is completely normal and healthy – it’s just a question of getting it without relying on a cup of coffee. If you don’t usually eat breakfast, try that instead – eating also provides a cortisol increase. It might take a few days of eating before you’re hungry to get your body used to the new routine. Exposure to light, especially bright blue light, can help. If you have to wake up before the sun, try a sun-spectrum lamp or one of the alarm clocks that comes along with a light that gradually gets brighter. Flu-like symptoms: luckily, these are the rarest type. Stay hydrated (replace that coffee with more water) and get plenty of magnesium and potassium to help minimize muscle aches. Ginger may have some anti-nausea properties (maybe replace a mug of coffee with some hot ginger tea). Needless to say, it also helps a lot to actually get enough sleep – a good night of sleep can do more for mood, alertness, and concentration than any amount of stimulants. Most people do get caffeine withdrawal symptoms, even from as little as 100mg of caffeine per day. But there are ways to make it less painful. A quick workout can help manage headaches and raise cortisol levels to increase alertness. For morning cobwebs, try eating a meal right after waking up: just like caffeine, food induces a rise in cortisol. 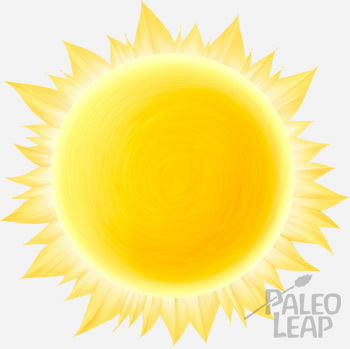 Sun exposure in the morning, or a sun-spectrum lamp can also substitute for caffeine to help get that morning cortisol high.